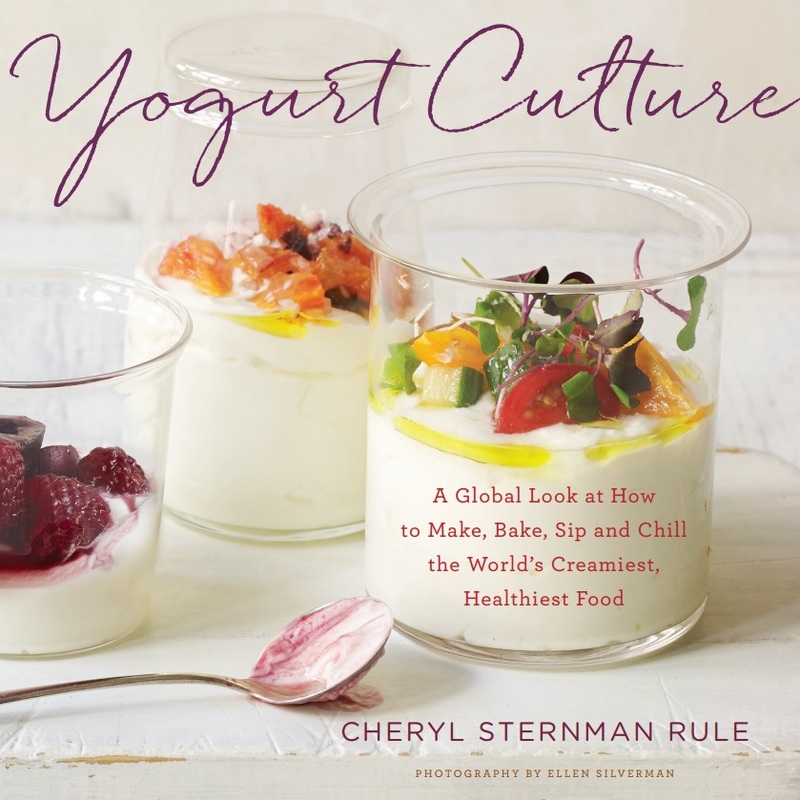 In our effort to spotlight yogurt-eating practices in as many countries as possible, we'll be featuring essays, reflections, and stories from Team Yogurt members across the globe. Today’s missive comes from Austria-based, German-born Laura Rieder-Mayring, our newest contributor. I’m leaving in the classic European spellings in Laura’s report to preserve the authenticity of her voice. ~eds. Due to its Alpine location and size, Austria has a few special agricultural characteristics. In many places, for example, large-scale agriculture simply isn’t possible, with areas just too small or territory too ill-suited for heavy machinery or giant stables. It’s also hard to make a living off of small-scale agriculture; this is one reason Austrian agriculture consists almost exclusively of sole proprietorship holdings, i.e. family farms. The majority lies in the hands of part-time farmers, with at least one family member working a stable job and the (small) farm run on the side, with few if any additional employees . According to the Austrian census bureau's last agricultural report: About 55 percent of all agriculture is run part-time, over 92 percent of agricultural holdings are family farms; and they are tiny. The average farm’s cultivated land size is 43.5 hectares (107.5 acres) – however, not taking forestry into account but looking at utilised agricultural area alone, you get an average size of just 19 hectares (47 acres). Seventy-one percent have a cultivated land area of less than 30 hectares (74 acres); only 4.5 percent are larger than 100 hectares (247 acres). With 19.5 percent of all farmland managed organically, Austria places third in the world in this regard (after the Falkland Islands and Liechtenstein, both ranking above 30 percent organic). For a quick comparison: A recent USDA’s Economic Research Service report quotes 234 acres (95 hectares) as the average cultivated cropland size of U.S. farms, five times as big as in Austria . I still remember seeing nothing but almond trees (then apricots, olives, walnuts, maybe) for almost an hour when visiting California and driving from San Francisco northward. It felt stunning, and almost surreal. But enough with the numbers! In Austria, cows are usually pastured in summer and get hay and/or silage in winter. In mountainous regions, it’s both traditional and common to move livestock to seasonal grazing grounds (a form of transhumance). Cattle spend summers on alpine pastures at higher altitudes full of delicious, aromatic herbs. Small fields in the valleys can then be used to produce hay for the winter. Recently, consumer attention to these practices has increased, with milk and dairy marketing following suit. First, there was “hay milk” from cows being fed no silage (you can really taste the difference! ), then “pasture milk” or “alpine pasture milk” with an emphasis on fresh herbage and the above-mentioned form of animal husbandry. Perhaps some of this language feels like marketing jargon, but in many cases it’s possible to cross-check its legitimacy. The bottom line of all this is the simple fact that yogurt here is usually made from high-quality milk. There are various fat contents (most commonly regular 3.6 percent, low-fat 1.5 percent, and skim). Recently, I found a lovely non-strained 5 percent fat one, too. We have creamy yoghurts as well as, more rarely, those old-fashioned, somewhat firmer ones; mild and tart yoghurts, and all the crazy fruit-flavoured yoghurts; there’s Greek-style strained yoghurt with up to 10% fat content, sheep and goat’s milk yoghurts, and soy products, too. And then we are so lucky to have a considerable Turkish minority, especially here in the East and in the city of Vienna, so it’s easy to find Turkish supermarkets filled with their wonderful yoghurts. I really love the thick, strained, fat süzme kind, similar to Greek yoghurt but more acidic and less creamy. I grew up in small-town southern Germany with a similar yoghurt situation. When I was little and my mum was staying at home, she would also make yoghurt herself – probably starting after Chernobyl, which was just close enough to bring some fallout to Bavaria, contaminating pastures and consequently milk. A friend’s mother had a few cows and that summer she kept feeding one of them leftover hay from the year before, so there would be “clean” milk for the (grand-) children close to her; yoghurt and soured milk were homemade from that. We would eat it mostly with cereals (Müsli, granola); plainly with fruit, jam or honey as a quick dessert; or maybe sometimes to thin out herb dipping sauces. Even today yoghurt is mostly eaten cold and sweet and much less commonly used in savoury dishes or for cooking/baking in general: this is usually where Topfen (quark) in all its delicious forms comes in. A dairy product made from soured milk, similar to very thick yoghurt but fermented with mesophilic instead of thermophilic bacteria. Now I just have to start making my own.